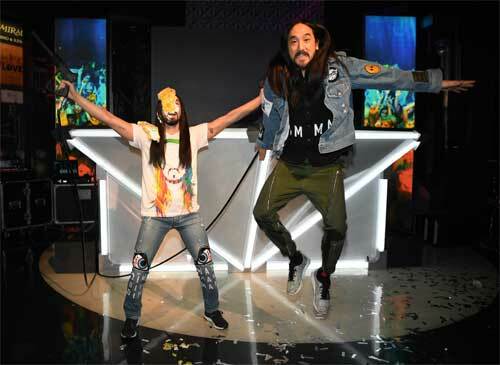 Madame Tussauds Las Vegas threw the ultimate fan party to launch the attraction’s new DJ Experience with Grammy-nominated international DJ and Producer Steve Aoki, who became the first person to cake himself in wax form, before treating fans to a live set to launch the dance-party installation. Inspired by Aoki’s iconic high-energy live shows, the experience puts guests behind the decks of a DJ pyramid complete with lasers, lights and holograms. 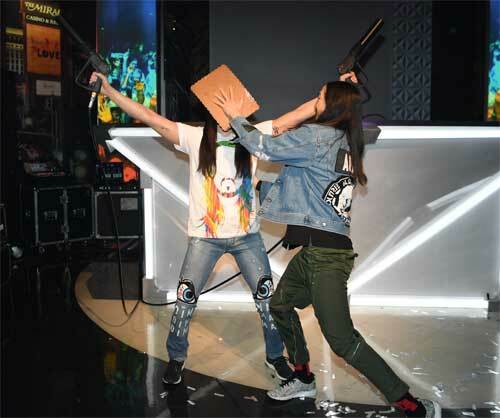 Fans were excited by surprise guest performer Desiigner, who joined Aoki on stage for a special rendition of “MIC Drop” and “Panda,” but the night’s showstopper was the DJ’s mother, Chizuru Aoki, who took to the stage to cheer on her son and celebrate the unveiling of his wax figure. 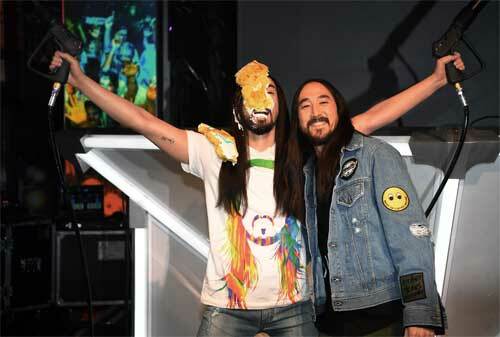 Following his set, Aoki participated in a meet and greet, and gave an encore performance of “I Love It When You Cry,” after meeting a fan visiting from Austria donning a tattoo of the song’s title. 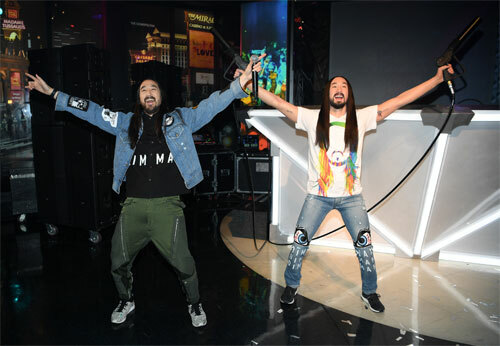 In true Aoki-style, his figure holds laser cannons that project digital beams around the room and wears customized denim pants from his own Dim Mak collection. 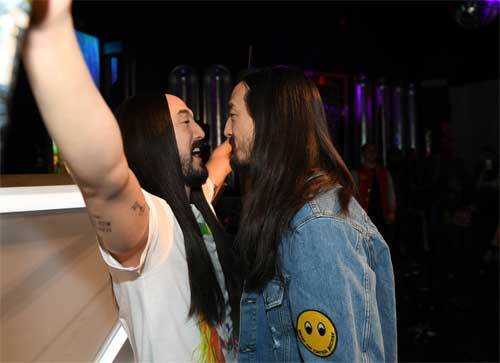 Aoki met with Madame Tussauds artists in May 2017 for a sitting where they took more than 200 hundred measurements and photographs to perfectly match his body, face, skin, hair and teeth. His figure joins Justin Bieber, Bruno Mars, Will Smith, Nicki Minaj, Katy Perry, Miley Cyrus and more at the exciting Las Vegas attraction.